modlandUSA: An Open Letter to Twitter. An Open Letter to Twitter. I was having a great day yesterday; out and about running errands and taking photos. Got home just before 3PM. Went into Hootsuite to catch up on Twitter; for one of the accounts, @groovyreflctns, the column that shows the incoming Direct Messages was blank. There was a message to reconnect the account, however, it wouldn't reconnect! Went into Twitter. And discovered that the account was suspended. I've had that account since August 2010. 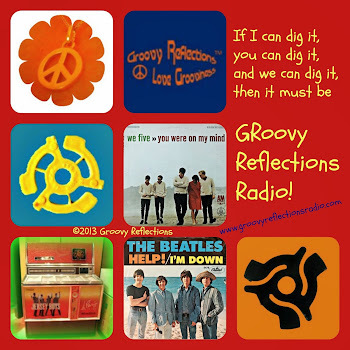 I post links to music videos and commercials on YouTube, stories from the Groovy Reflections blog, interesting quotes (usually from folks in the rock ‘n roll arena), shout outs to followers, Follow Fridays, Retweets, and photos of nostalgia things (mostly taken by me). And I don’t follow a lot of people; the account is well within the limits of the daily quota for following. The account was not hijacked; there were no questionable tweets that were not made from me, nor were there Direct Messages that I didn't send. It’s a blog by Groovy Reflections Team Member Paul about dating in his college days. It’s been tweeted before and there is nothing offensive or off color in the story; warning: It IS humorous though! As far as I can see there was absolutely no reason for you, Twitter, to suspend the account. And to “reinstate” it I had to click two boxes that related to understanding “the rules”. I have no issue with the rules and I abide by them! 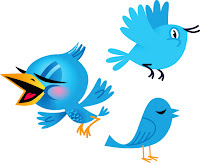 After the account was reinstated, the followers and following counts were repopulated…I watched the numbers rise up to close to the figures they had been at before the suspension, minus about 60 followers. Then, I wrote to you, Twitter, using your form. I immediately received a reply via email and said that the account was not suspended. Well yeah, because I went through the steps to reinstate it! This was not the response I was looking for! I wrote a second time using a different reason from the choices and received another automated response. Your actions hurt me. I'm a small business just trying to get ahead. 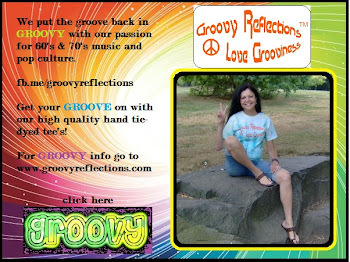 Groovy Reflections™ promotes Peace, Love, and Grooviness through 60's and 70's music and pop culture. Twitter, please get in touch with me and let me know why you felt it necessary to suspend my account. Don’t be shy. Let’s get this straightened out. Where to find ModlandUSA: Website, Twitter, Facebook, or Google+. Hey Gerry, this happened to me as well. Usually Twitter never lets you know why this happened and you probably got an automated mail saying that their system picked up your account in error and the problem is resolved now. However be careful. Stop using any automation and reduce tweeting for a few days. It is found that Twitter Suspensions come in two's within a short span of time. Take care and stay strong! Hi Koustubh! You are correct about it coming in twos ...the account is suspended again! This really hurts. Thanks for you kind words. Such a bummer! I so hope they respond! They have not responded! The account is now reactivated AGAIN however all the follows and followers are GONE! Sure hope they bring them back! Please let us know when they respond. We don't want to be in suspense (no pun intended) any longer than we have to be!